Custom offensive playbooks. 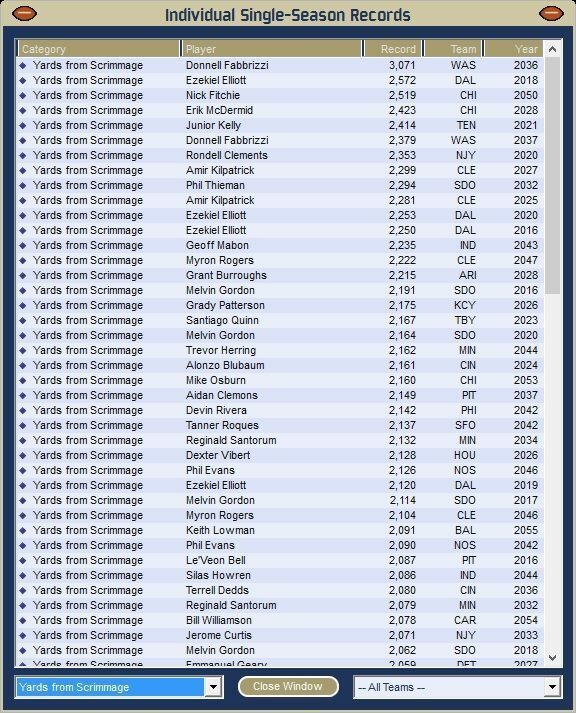 Each year, during training camp, you can create a book of up to 200 offensive plays to use during the season. 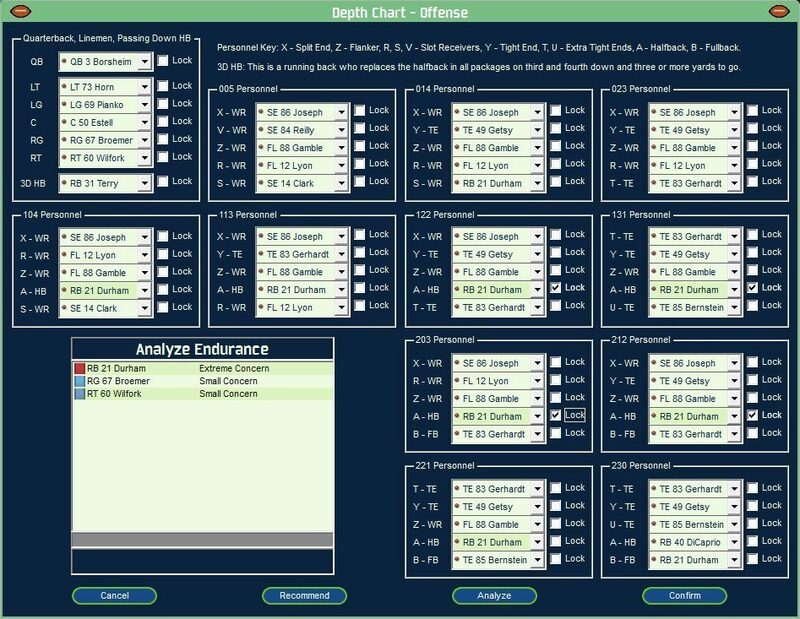 Of course, as with all the management features in Front Office Football, the game's AI can create a playbook specifically for your team if you like. New player participation charts. 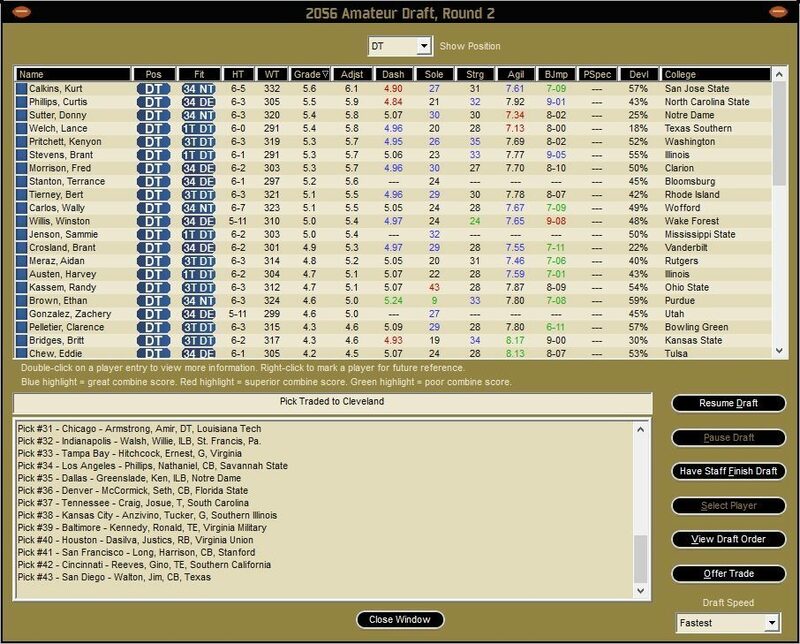 You can select your starters based on personnel groupings. This gives you much more control over who is on the field in every situation. More realistic game planning. 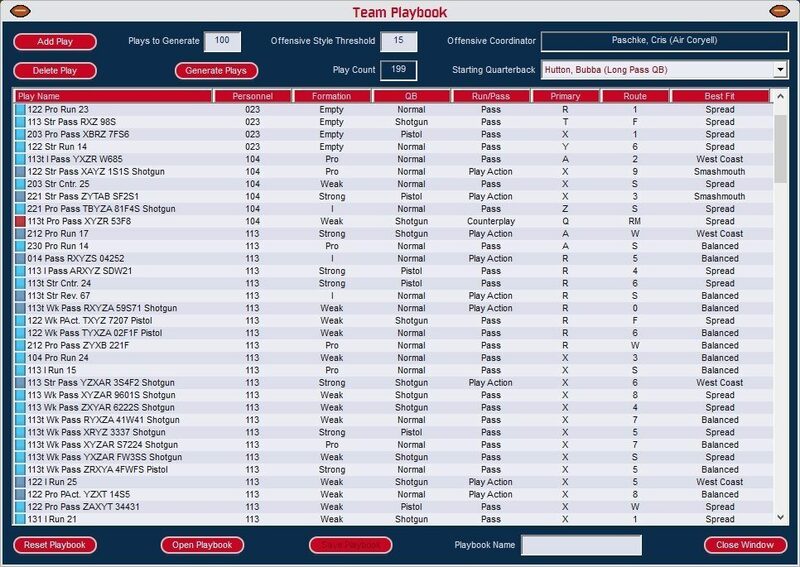 Rather than filling out extensive charts, you can write scripts for the plays your team will run in every situation. Create a list of plays for use in the Two-Minute Drill. Save your best plays for those critical third-and-three situations. This is much closer to how professional teams handle in-game play-calling. On defense, your plan will cover how you react to what your opponent is doing. You'll have fewer choices to make, but the choices will have a big impact on performance. 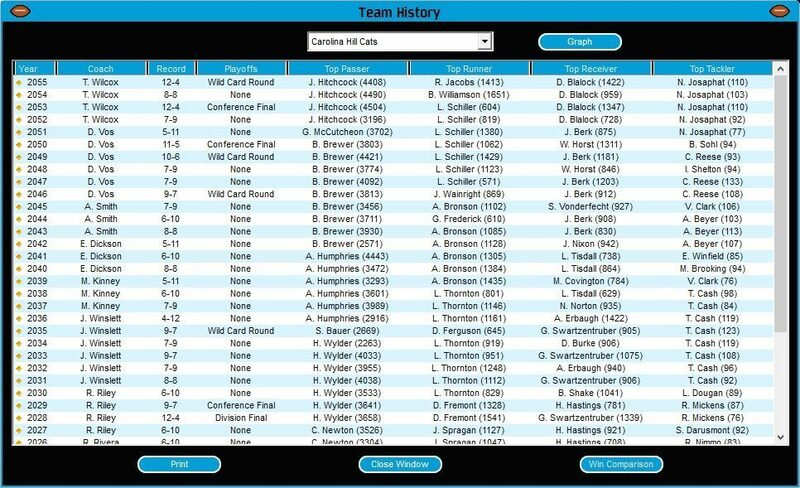 Instant history (or at least history created as quickly as your computer can run). 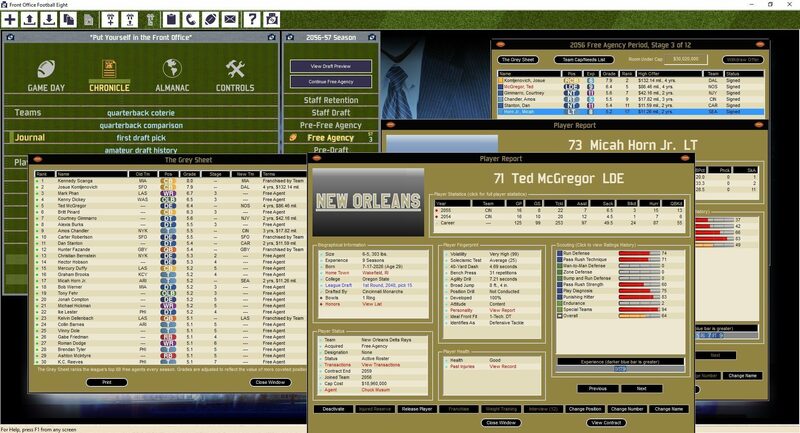 At the press of a button, you can generate up to 50 seasons of "history" for your league, with the AI running every team. Enhanced Multi-Player Support. A fuller set of options for maintaining your multi-player games. Additional security features to prevent "hacked" stage files and file compression to shorten load times and reduce the FTP space needed to run a game.